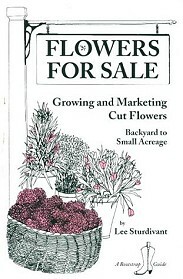 One of several how to books from Lee Sturdivant, this book is an enjoyable look at how to make a buck in your backyard. There are a lot of basic concepts here that are important to master in order to make a success of your homegrown herb business. Written in a straight forward and easy to follow manner, this book is the written experience of those who know how to take advantage of the local demand for herbs and herb products. 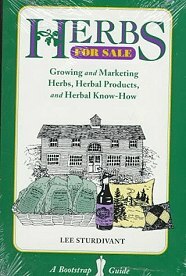 There are chapters on which herbs to grow and how to sell both fresh cut herbs and potted plants. The advice to keep it simple at first and let the business grow itself is right on the money. Also, the emphasis on a quality product delivered in a reliable manner is an important business motto. 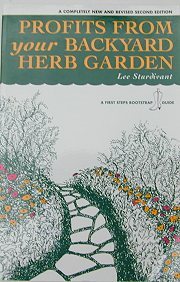 Whether you have some extra herbs now or want to plan what to grow in the future, this book will help you, inspire you and give you the confidence to get the job done. 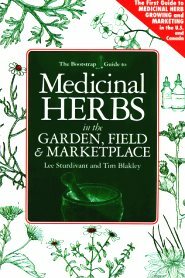 This book is a compendium of success stories of many Herbal companies and farms, plus resources to help you in your endeavors.